 Company All Travel Georgia is incorporated on the basis of individual business of experienced travelers. The group members carry out welcoming of tourists in Georgia and organization of tours since 2008. During this period the experienced gained was found to be the crucial term for incorporation of the company. The business took the entrepreneurial form through organizational legal form in 2015. Together with old staff group unites employees of multi-year experience in the field of service and commerce. That’s why the most important principle of work – taking care of customer’s wellbeing and arrangement of long-term relationship with customer relied upon trust is self-realized for the company. Our aim is to create comfort environment and give the pleasant innovations for our customers. The main aim of the company is to make positive impact from the point of developing tourism in the country and assist the modifications commenced in the field of cultural globalization. Please, take benefit from our service, return back to your country with unforgettable emotions, share your impressions among people close to you and please be assured that your wish to arrive in this hospitable country having this greatest culture and traditions will be one more dream which comes true.